Safe drinking water is vital for life. In the west we tend to take clean, safe water for granted but in Tunguli, as in many parts of Africa, it is not so simple. In the rainy season there is too much water but in the dry season never enough. Water-borne diseases are among the biggest causes of sickness and death, especially among children under five, with people being forced to use whatever water they can find. Tunguli depends on unreliable wells and water stored from the rains. The health centre is 1/2 mile from any well and had only leaking tanks and broken roof guttering, so rainwater harvesting was ineffective. In consultation with the Hospital Director, Isaac Mgego, we decided to make rainwater harvesting a top priority. In May and June 2013 we funded a project to install three new water tanks, plus repairs to the health centre’s existing roof guttering and pipework, allowing rainwater to be harvested and stored. Each tank holds 5000L of relatively clean and unpolluted water, which can be used for drinking, cooking and medical cleaning. 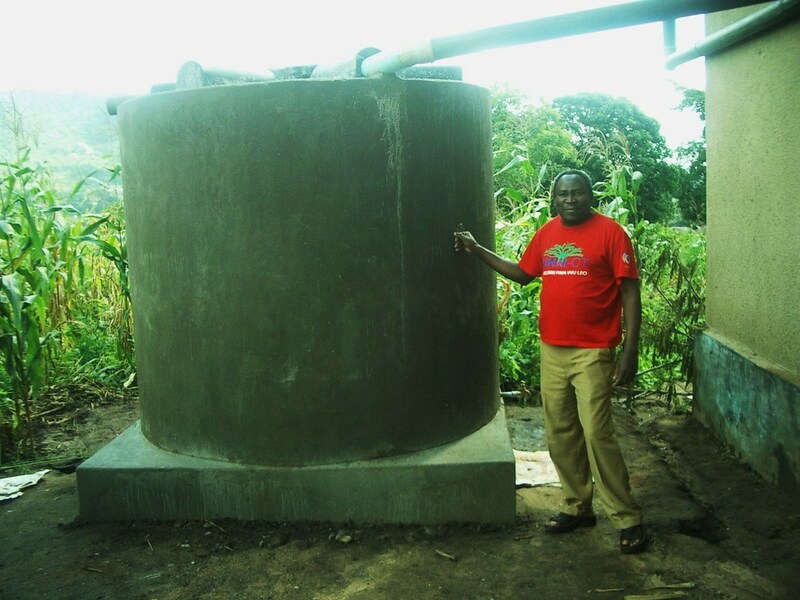 With careful use the water in these tanks can support the health centre for up to 6 months. Rainwater harvested in this way is much purer than water from shallow wells, although in the near future we also hope to provide simple water filters to further purify water for drinking. The total cost of this project was Tsh 8M (£3,200) and in keeping with our principles this project is highly sustainable and has a low impact on the environment. Running costs are very low with the system’s integrity depending mainly on maintenance of the guttering and pipework. Over time it is our aim to extend this programme to other areas of the health centre which will make it even more resilient during periods of drought and make a major contribution to the reduction of water-borne disease for both patients and staff. The health centre serves over 800 in-patients and almost 4000 outpatients per year.